Sometimes a support group isn’t enough. We may come to a season in our life where we require help at a level that our church or recovery community cannot offer. 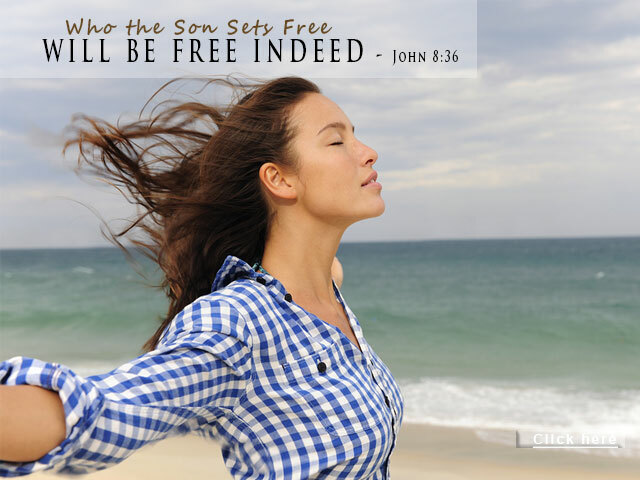 The Codependent Treatment Program at New Life Spirit Recovery is set up to give the codependent the opportunity to say “it’s time I take care of me.” Through an intensive counseling and educational approach, the codependent is asked to do a fearless self-confrontation process to press deeply into the healing principles of the Lord Jesus Christ. You will spend time not just assessing what’s wrong in your life today, but deal specifically with the deeper roots that have driven you to this point. Through a Christ-centered clinical approach, this journey can move you through your past not to dwell on it, but to identify false belief systems and shame messages acquired. This will help you to capture the lies you’ve been told and replace them with the truth of who God says you are. While it sounds so simple, it’s an intensive process of peeling back the various layers of your codependence and coping mechanisms to get at the heart of why your life hasn’t been working. As you agree to step into truth, you will find what you’ve been looking – true, authentic freedom. And not just that, you will have the opportunity to acquire new tools to bring into your relationships – tools that are empowered with the truth of God and His redemptive grace, that also allow you to form godly boundaries. The assessment is the first thing we must do in order to understand how to best help you. It occurs after a variety of paperwork and a personal life story has been written. The goal of the assessment is for the counselor to understand, identify and provide a treatment plan within your chosen timeframe that sets specific goals relevant to your particular needs and circumstances. On occasion, the counselor may find additional outside services that are necessary and will coordinate with you accordingly. While it may not be the case for everyone, often, the person suffering from codependence is attempting to balance a relationship that is imbalanced physically, financially, emotionally or spiritually. By the time a person seeks help, this relationship is often so painful and consuming, that specific resources and homework assignments need to be offered to address it immediately. However, at the same time, once that situation can be stabilized, we believe it is absolutely important for the codependent to take the time to assess and understand their own emotional pain and issues that led up to the current circumstances. The core curriculum used in the New Life Spirit Recovery codependence program is based on the nationally recognized books The Christian Codependence Recovery Workbook: from Surviving to Significance and A House that Grace Built written by our Director, Stephanie Tucker. We are thrilled to be announcing a new workbook called Christian Families in Recovery that will help specifically with the dynamic of an addiction within the family system for those people who are dealing with that issue. We offer codependent workshops and classes both in treatment and through our ministry. These workshops include a teaching on a specific chapter in the workbook each week. The class then breaks into small group discussions. It’s a safe place both to learn and process through a variety of issues pertaining to codependence. The spiritual workshop is designed to lay the foundation of God’s truth. It is intended to get people into the Word, to minister to their spirits and to recall the many promises of God. We don’t believe homework assignments are a minor thing, we believe that through written homework, most breakthroughs will transpire. It gives you the opportunity to connect personally with those thoughts, feelings and behaviors that need to be dealt with. What are the Program Options Costs? Our desire is to package the best, most comprehensive and most affordable option available on the Christian treatment market. We’ve strived hard to keep our costs as low as possible while at the same time not compromising excellence. Please call us for more information. Please call us to learn more! where can i go do you have treatment centers? Where I cannot find that info on this site.? Hi Lucy! We have a treatment center in Huntington Beach, CA. Please call our main office, and they can chat to you about that or other options. 866.543.3361. Many blessings!!! I live outside the US. How would it be possible to access your treatment services? Hi Emma, I’m slacking! I’m so sorry that I missed this! Yes, you can receive either our ministry counseling services through Skype, or you can fly to our country if you want more intensive treatment. Please call us at 866.543.3361 or e-mail Tracy at nslradmission@gmail.com. God’s grace and blessings to you!